The Dunlop Devon combines the quality you would expect from a Dunlop product at an attractive price. 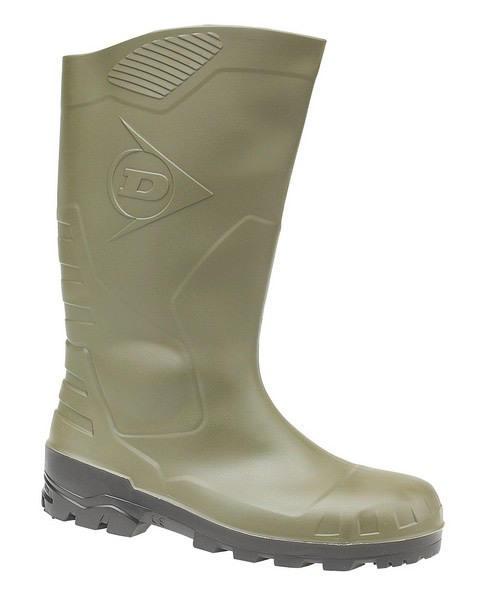 The boots are made on a PVC and nitrile/rubber compound basis and are suitable for several sectors; for example, general construction, agriculture and horticulture. The Dunlop Devon is equipped with a dirt reppellent and slip resistant outsole in addition to the safety toecap and steel midsole. The Devon also is antistatic, has an energy absorbing heel and meets the standard EN ISO 20345:2004.S5.